STB is Hopping with Altenew! 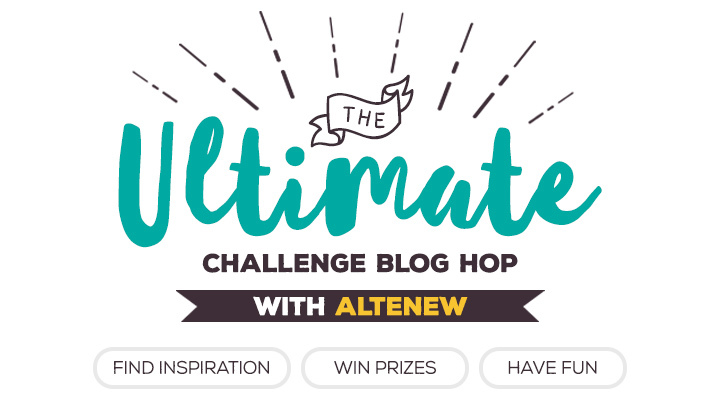 Hello friends, Today is a fun day for my fabulous Design Team and I over at Seize the Birthday, we are one of the many guests taking part in The Ultimate Challenge Blog Hop with Altenew! We are absolutely thrilled that they contacted us to join them! Did I mention they have prizes too? You have got to see the LONG list of Challenge Blogs joining the hop! It’s incredible!!! Categories: Cards | Tags: altenew, blog hop, Card making, Cards, rubber stamps, Thinking of you | Permalink. Very pretty. 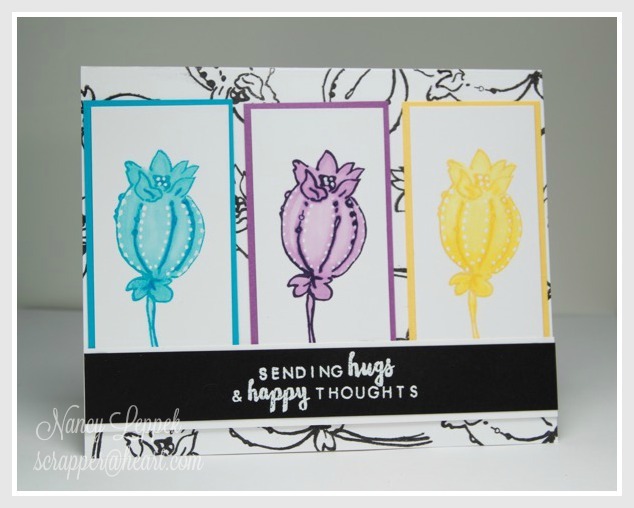 Love the colored blooms and design of your card. So excited for you!! What a feather in your hat to be asked by Altenew to participate in the hop, very well deserved!!!! LOVE your card! The colors are awesome, and that little touch of white on the flowers is genius. Also like that everything is black and white except the focal flowers and their mats. Such a well thought out card, just fabulous!!! Beautiful trio of flowers and lovely, soft colors. Very pretty design….great card! Nancy, I love how you used this stamp on that background in black and white and then in color on the images on the front. really a nice touch of the buds using the white gel pen. I am loving this. Wonderful card, Nancy. I love how you did the flowers in black and white for the background. Great touch. Congratulations! How wonderful you and your team! Your card is beautiful love that image and those colors! YIPPEE!!! This is really fun Nancy! Love the colour combo. Very striking with the black and white background and sentiment. Well done.